How are you we are going to be partners for this project. What are you working on right now. Maybe we can mail soon to get something going on. I am born in Estonia and lived almost always here(except during my studies in Oslo and Amsterdam). My grandfather at mother’s side was Polish(deported to Estonia while he was very young). Everyone else in my family seems to have Estonian roots. Now I am together with Hungarian man, who is also artist and we have a little daughter together. She took most of my time during last two years, but now she started in the day care. Most of the time after the graduation I have shared my time between making jewellery and working for art related institutions. In the beginning of October I start working again for the Estonian Museum of Applied Art and Design. I am also one of the organisers of Tallinn Applied Art Triennial. It seems I am always longing after more time for the jewellery, something I can’t get enough ever. I am very glad that you are in the other side of the wire now. And congratulations, on your weddings! You asked, how should we start our collaboration? 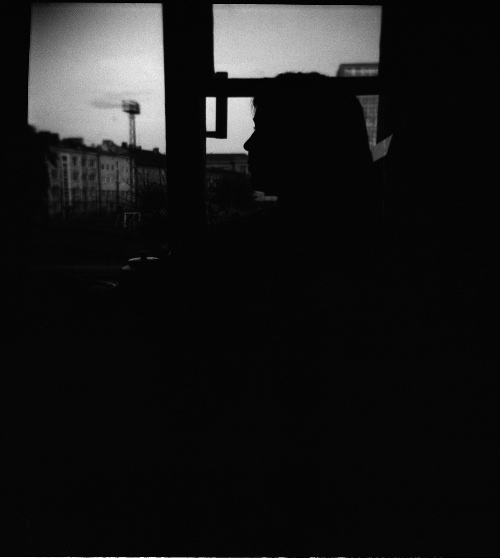 Shall we start first with exchanging some images with comments we think are characteristic to the theme of the exhibition, or to our individual work or to the way we think or they just inspire us. Lets just take it slowly and get to know each other and see what works best with us. 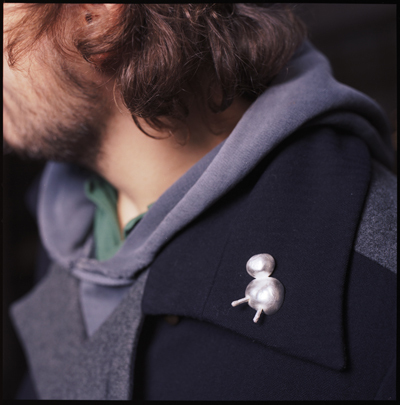 For the start I am sending you an image with one tiny “chestnut animal” pin from my last collection “Homesickness”. Chestnuts- in Estonia it is believed that chestnut in your pocket will bring you luck. When we were children we kept many of them in every single pocket we had. Also we used to drag piles and piles of chestnuts home and made little animals out of them. Then we tried to eat them, they tasted horrible, and someone smart told us, that you have to bake them in the owen before you can eat them. 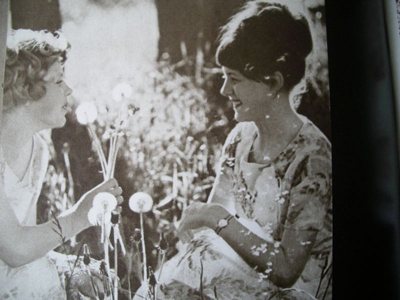 Well, the sound of cracking chestnuts in my mothers owen and her face, I never forget. 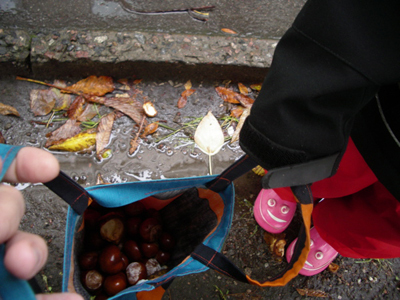 It appeared that chestnuts growing in Estonia are delicious only perhaps for the wild boars. It is also believed that chestnuts help to prevent moths while they are stored between woolen things. Have you ever believed in such a things-superstition? Thank you for the comment, it sounds really interesting! I am looking forward to see the pictures too. Where and how big were these little garnets you used to have on your clothes to protect you? Could you please also write posts directly here . just got married and was not aware of how much work this required! What do with a wedding ring ? But I have lots of friends and one of my best ones made it for us beautiful mixture of gold from some generations.mother, grandmother, great grandmother and father. that is a nice start, as I grew up we wore little garnets on our cloths to keep us save. And with my wedding my mother pinned a tiny piece of cloth with something in it under my weddingdress. She said it was to give the marriage a good start. And like this there are many more little things we in on to our clothing to keep us from certain tragedy. I will make a picture of it and put it on the blog. How are you ? I was thinking about wat you said. 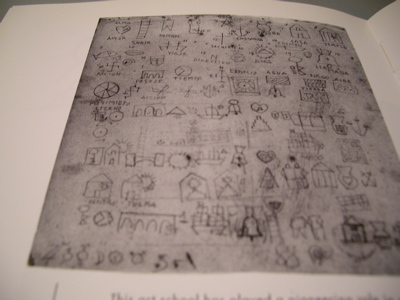 A lot off the enclosed pieces of jewellery with hidden messages or herbs we have are called Tapoe. This means closed and only the wearer knows what is inside and where it is used for. Most of the time it are simple square forms. 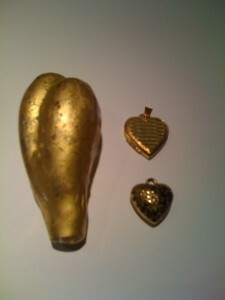 hereby one off my old necklaces where I translated the precious tapoes we use in Surinam for natural precious forms. I am going to the Koru 3 conference and exhibition this Thursday staying there till Sunday. Next week I have the opening of Tallinn Applied Art Triennial. I am sorry, but during next two weeks I will be unable to blog here. But I will keep a little empty spot for the Grey Area ideas behind my brains. today a lot of people asked me if I had something special for the special holliday coming up. I though about the “holy spirit” a lot of us refer to during these days. So now I am making porcelain hearts which contain some holy thoughts. Thoughts and little ways of help everybody searches for whenever the world seems to be falling down around us. I saw the most beautiful luck puppets of all time inspiring. I wonder do we really need something to give us that bit of power when we need it? Ketli what do you think? Dear Chequita, I am sorry you had to wait now for me. After the intense period of the work with the triennial I got an eye infection. Less computer was necessary, luckily it’s almost over, back in track eventually. First, can you please post the pictures of the small talismans you told me. I read your post about little presents your were thinking to make. Beautiful thought. You had Christmas in your mind I suppose? For me Christmas is a strange time, we have always celebrated it in our family, even at the time it was forbidden(when we belonged to the happy family of USSR )- we celebrated it behind heavy curtains. Very long time it was of course the favorite event of the year, just next to my birthday when one could expect number of presents. Well soon the presents turned to more practical then fun things(as a teenager I remember of getting 10 pair set of ugly but warm underpants from granny and two granny like nightgowns from my mum, uh). Even now we mostly give within my family only practical things. Every year I think of making something special, but the time passes before I ever have a chance. When my grandfather died this Spring I was desperately trying to remember did I ever received something from him what I could treasure except all the memories? Then I remembered one story. When I turned 16 he and his wife wanted to give me something special I could keep for a long time. but at the time I was crazy about swimming and diving so when we drove to shopping center and I saw green rubber flippers and instead of jewellery, dress or a book I got them. This shows how generous he was, I am sure he thought it was ridiculous from me, but he respected my wish. I guess therefore it would be really nice to receive surprise presents, like you are planning. When I am traveling I love visiting flee markets and I try to purchase small gifts from there. 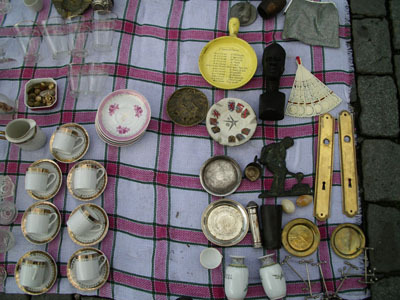 (On the picture flee market in Brussels). Dear Chequita, I was wondering that are these the themes you would like to work further for the Gray area? Or do you have some other things in mind? 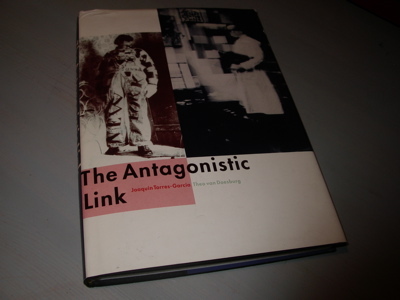 Over some years I took out from the bookshelf a book “The Antagonistic Link” which contains letters of Theo van Doesburg and Joaquin Torres-García. I bought this book on 1997 in Amsterdam while I was studing in the Rietveld Academie. I remember that I was captured by the sincerity and passion of their letters, how these two great thinkers of avant-garde movement with different backrounds were able to discuss about the meaning of the single word over and over again. How they had strong disagreemnets and they still tried to explain to each other ones points of view. It is very emotional book I enjoyed it very much, containing next to the correspondence of these two big men also interesting articles about their backround and the circle of artists they were involved with. It is certainly one of these almost blind purchases which turn to be very dear. I admire their works very much. Only now being involved with Grey Area I kind of realised that the whole book was a huge and great cooperation of curators and familiy members in Holland and South America too. 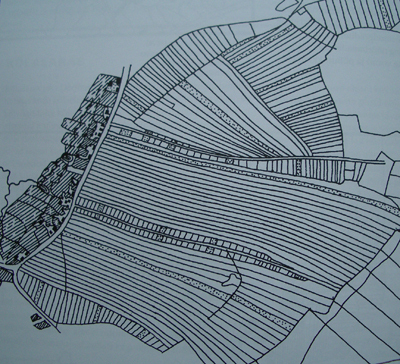 Torres-García said: “Geometry and symbolism tend to be the artist’s natural mode of expression. First of all geometry because it is the graphic language of reason; then symbolism, because the symbol is also in fact a graphic idea. But there is another reason from the artist’s point of view,and this is of the greatest importance. The symbol in fact, unlike all other images, does not represent any other thing; the symbol is different: it represents itself. Because in the symbol, idea and form are the same thing; one and the same thing: it is the idea-matter, or matter-idea, whichever you prefer… If the artist is a creator of symbols it is because the symbolic form is not just something that exists within the rational structure, but also within the soul and in matter and it emerges from them made, as it were, of one piece; and this is why it has, in a sense a magical value, and why it operates directly on our spiritual sense, without requiring any interpretation or reading; and for these reasons as far as its form is concerned it has a value in itself. Maybe you know this book? 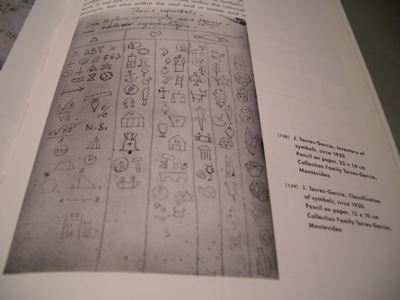 Let me know what you think about T-G theory about symbols! How was the conference? And your Eye infection is over now? I think the theme for WTGQA for me could be bout symbols and its meaning. That has always been something I am interested about and when you mentioned the Book(which seems very interesting) this reminded me of a collection I once wanted to make. 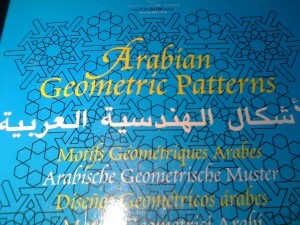 I discovered some books about arabic symbols that meanly consists out of geometric forms repeating. And when you take a good look at most of the tiles and other ornaments made there you will discover the geometric paterns. So for me it would be interesting to go into this direction, but ofcourse I am curious what yu think of this. Symbols is a big area which has many directions. 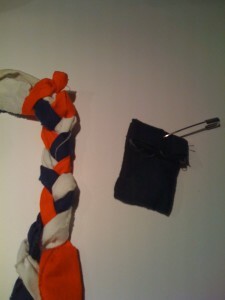 I inserted a picture of my peace of cloth(for protection)and talisman given to me by my mother on my weddingday. I also have something with hearts wherever I see one I need to have it. I already have a small collection. This was also something we had as a little girls integrated in our jewellery. I Wish Evereybody a Happy 2010 !!! Hi Chequita, I hope new year has started with lots of good surprises and high energy for you! Thank you very much for sharing the talisman pictures with me. They are really interesting. I am glad you liked the idea of dealing with symbols for WGA. Lets continue with it. I do not have a clear picture how to translate it into jewellery jet. I think it is very natural that both of us will find something different from this wide theme. 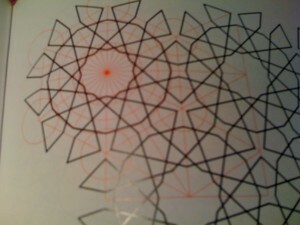 I am looking forward what will comes out with your inspiration towards Arabic symbols. I will come soon back with my ideas. And yes, 5th Tallinn Applied Art Triennials seminar and major event are over since mid November, but the exhibition is still on until the end of February. 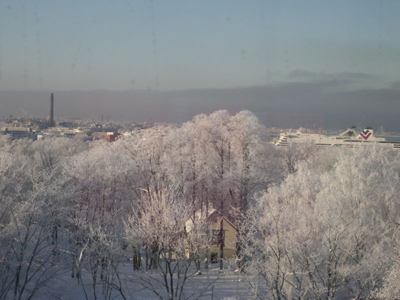 We have an extreme winter here, since Christmas half a meter of snow and temperature varying from -10 to -25. Yesterday was again -23 day and today -20 with heavy wind. How are you, i am sorry for being away for so long. Due to some personal circumstances I was not able or better said not capable of getting behind the computer for some inspiring talks. But I did made some pieces and I will make pictures of them and load them so you can see them. 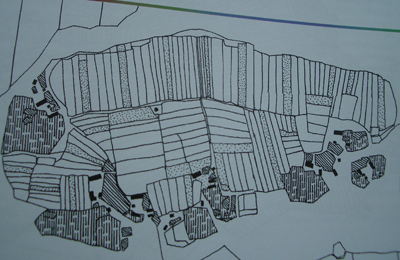 Different agricultural systems for cultivating land in Estonia. How different it is from your country? Two weeks ago I started with some try out but lots of doubts so far and therefore I feel uncomfortable to show them now. Instead I am sending you some images. Would you be willing to have a chat via Skype to give a refreshing kick to our conversations? My Skype name is the same as the original on. 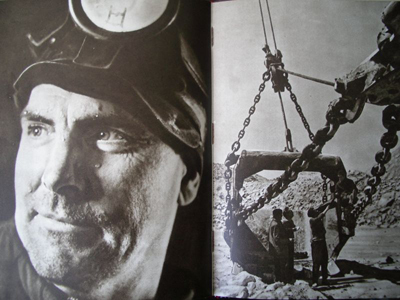 Beautiful photo album showing the cole pits of Eastern Estonia, miners, engineers and their families, how they lived, worked and how they spent their free time. Life looked like a flower, but what can you believe only according to the images? Book by Samuil Migdal, graphic design Ülo Habicht. Published on 1968, Tallinn.